TAY Open Forum: Whar's Waldorf? Far be it from me to snub my nose at cross brand synergy when promoting TAY and TAY accessories, I shall now use this space to advertise the beginning of the Great TAY Scavenger Hunt! While anyone can play along, only those who signed up or who sign up ...TODAY will be eligible for Dream Geebs Ice Cream Surprise TM. 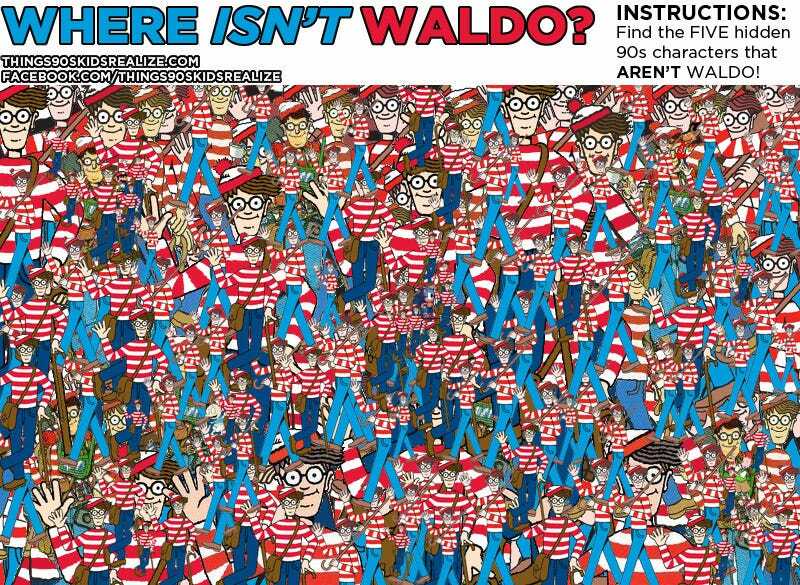 Find me an internet photograph of the real item Waldo loses FIRST in his trip around the world! What are the five characters hidden in the picture? What are your thoughts on Glynnis Talken Campbell being replaced as Sarah Kerrigan for Starcraft 2? For those of you wondering where your usually scheduled host is I, well let’s just say her and I don’t see eye to eye on the role double stuffed oreos should play in this administration and so she’s taking a time out to prepare a rebuttal. Or she’s working on some exciting articles for Kotaku.